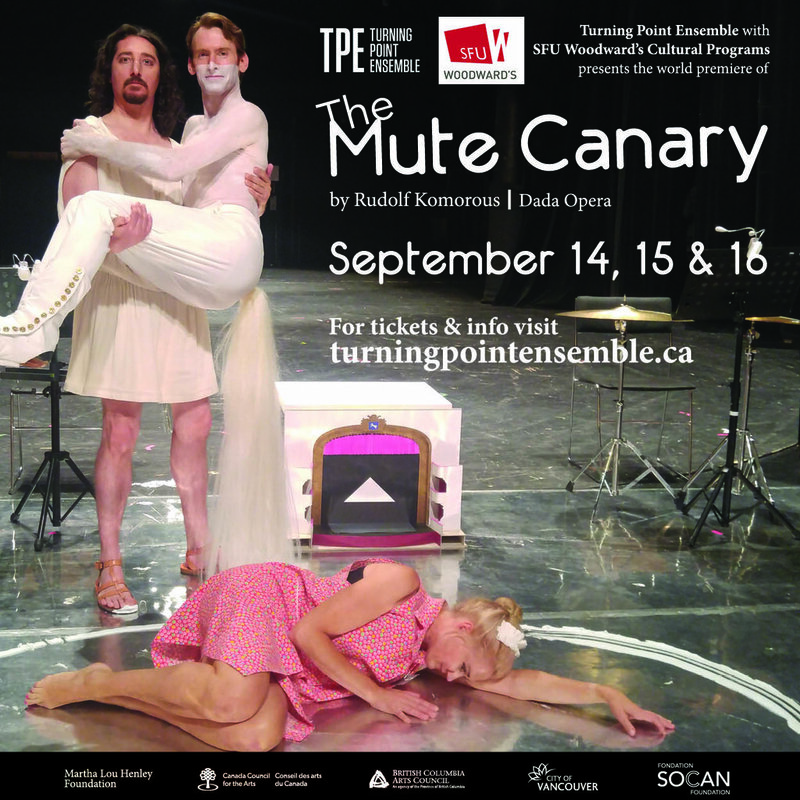 Turning Point Ensemble (TPE), the innovative chamber ensemble, is excited to be kicking off its season with the world premiere production of The Mute Canary, a new opera by 86-year-old Rudolf Komorous, one of the most fascinating contemporary composers of his generation. 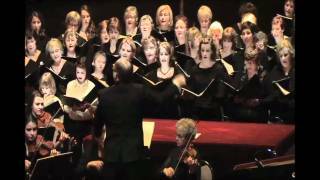 Owen Underhill conducts the one act opera featuring the stunning voices of Daniel Cabena, Alexander Dobson and Anne Grimm and expands the concert to include a retrospective of definitive Komorous compositions. 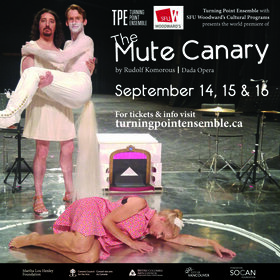 In addition to the one-act opera, the concert will feature three additional works by Komorous, his radical minimal composition Olympia (1964) as performed by Christopher Butterfield and Owen Underhill (both former students of Komorous), 23 Poems about Horses for narrator and ensemble based on the T’ang Dynasty poems of Li Po, and Fumon Manga (1987) for woodwind quintet.